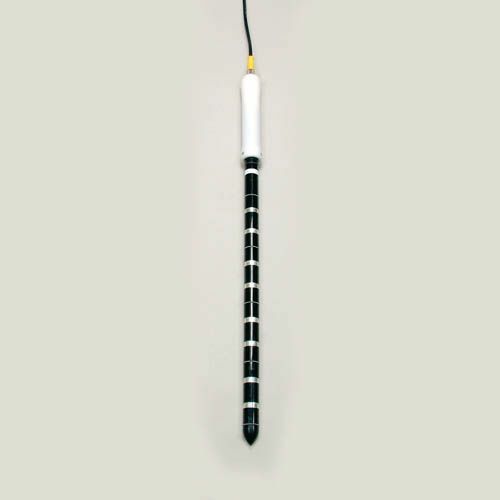 The Thetaprobe (ML3) soil moisture sensor (art. no. : 14.26.07.02) measures the soil moisture volume percentage by applying the Frequency Domain technique. 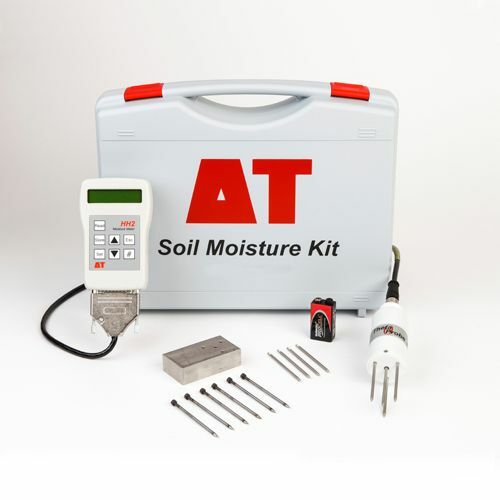 The Thetaprobe measures the soil moisture volume percentage by measuring the changes in the dielectric constant. The changes are converted into a millivolt signal proportional to the soil moisture content. The sensor consists of a sturdy, watertight synthetic housing which contains the electronics. The housing is fitted with 4 stainless steel measuring probes at one end that can simply be pushed into the soil (or other material). The Thetaprobe also can measure soil temperature. The sensor is able to measure within a measuring range of 5 - 55 volumetric moisture content with an accuracy of 5% with standard calibration and only 2% with soil specific calibration. The sensor has an output signal of 0-1 Vdc. 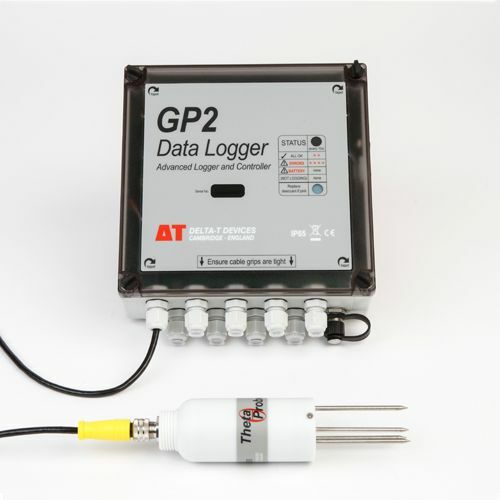 The sensor is supplied standard with a 5-metre cable and plug for connection to the soil moisture meter or with wire for connection to a datalogger. The measurement values are shown on the display of the soil moisture meter (art. no. 14.26.02) and can be stored in the memory (including time and sensor location). These data can be read on a PC. The meter comes with built-in conversion characteristics for mineral and organic soils. The software allows a further 5 soil specific calibrations to be introduced. The meter has no temperature indication. If the moisture content is measured of other materials the meter will give an output signal in millivolts. 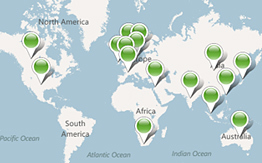 If a series of soil moisture measurements is required the soil moisture sensors can be connected easily to a datalogger. Direct readings of the volumetric soil moisture content in the field by using the soil moisture meter. Data stored in handheld meter and able to be read on a PC. 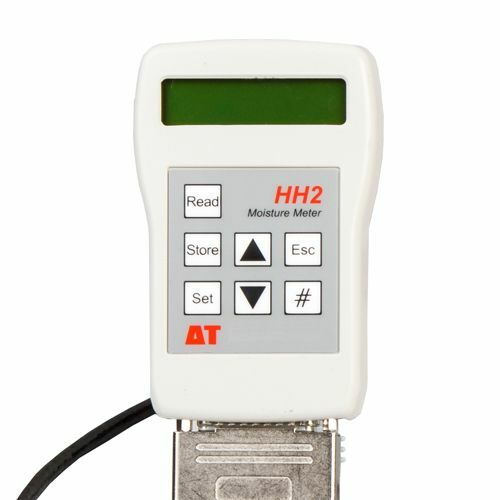 Can be connected to a datalogger. Cheaper than TDR or neutron probe systems. Applicable in areas with soils with high salt concentrations. The compact sensors can be placed under any angle. The Thetaprobe is also available in the form of a profile probe for use in thin-walled tubes that are installed in the soil. The profile probe is fitted with several measuring elements (4 elements with a measuring range of 40 cm, 6 elements with a measuring range of 100 cm) so that the soil moisture content can be measured at different depths within a vertical soil profile. 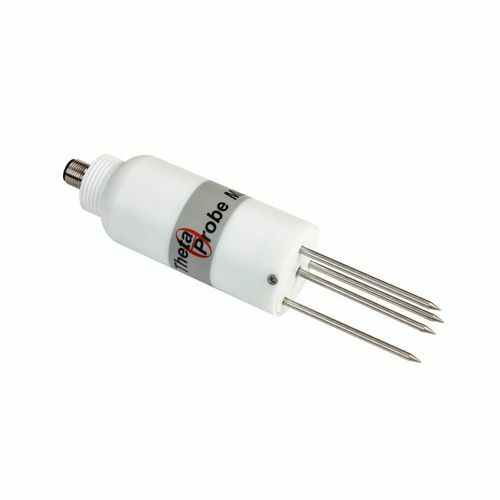 The probe measures with an accuracy of ± 3% in a thin-walled tube and has a measuring volume of ± 1.5 litres at each profile depth. 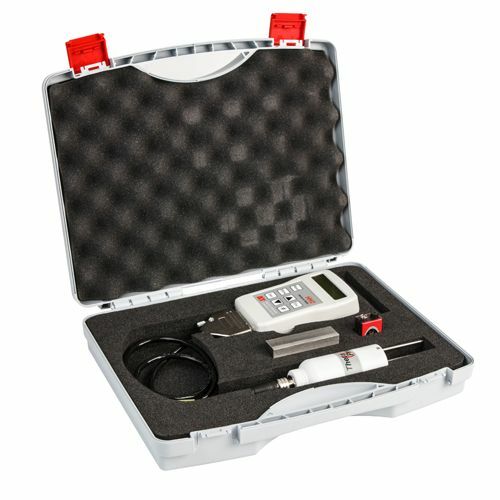 The profile probe can be used as a portable system by using the soil moisture meter or as a fixed system by using a profile probe in combination with a datalogger. The thin-walled tubes can be placed in the soil with the use of a special auger kit. 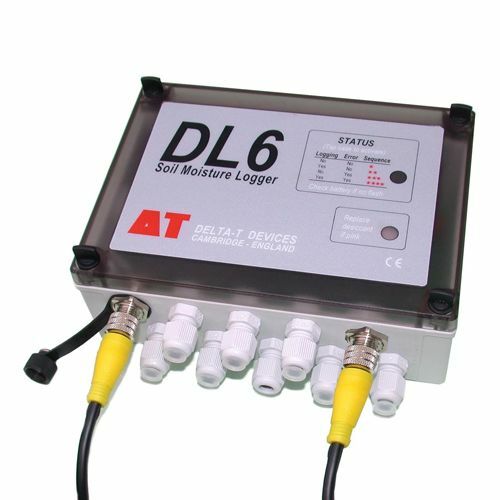 This datalogger with 6 analogue channels is a dedicated datalogger optimised for use with soil moisture sensors. It can be used with combinations of Thetaprobes and also accepts rain gauge and soil temperature probe inputs. Up to 16000 readings can be stored in the memory.